We are glad that you found your way to our Lantana, Florida marine electric information page. Without question, many people in this area enjoy spending time on some of the great waterways that we have here in South Florida. There are those who are recreational boaters, and some people make a living on the water, including fishermen, tour guide operators, and others. You need a reliable resource for your marine electronics when you are a boater, and you will have one at your disposal if you decide to partner with our company. 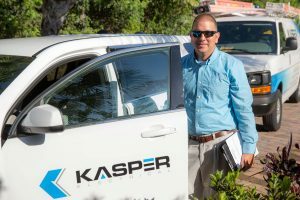 From City Center to South Dixie Highway to East Lake Worth Avenue, for marine electric work in Lantana, Florida Kasper Electrical is the only logical choice. Sometimes you engage some type of a service provider that can handle certain issues for you, but there are others that the company cannot address. This can enter the picture when it comes to some entities that provide marine electronics, but things are entirely different here at Kasper Electrical. There is nothing that we cannot do when it comes to marine electric work, and you will find that our prices are surprisingly affordable. Technology has really changed the playing field, and the marine electronics Lantana, Florida customers receive from us are truly on the cutting edge. We can install shore power and distribution systems, and we have batteries, charging systems, autopilots, and fishfinders. Our technicians also work with GPS systems, audio and visual devices, remote monitoring and security solutions, and satellite Internet and television. To put in a nutshell, if you need any type of marine electronics in Lantana, Florida, we can satisfy your needs and exceed your expectations. 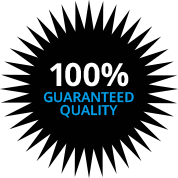 Many of our customers know exactly what they are looking for when they come to us for marine electric services, and we definitely speak their language. At the same time, when you look at all of the high-tech marine electric equipment that we work with, some folks are interested, but they do not understand all of the details. We are fully cognizant of this dynamic, and we would be more than glad to answer all of your questions and apprise you of your options. If you would like to have a conversation with one of our Lantana, FL marine electric specialists right now, simply give us a call at 561-845-1660.